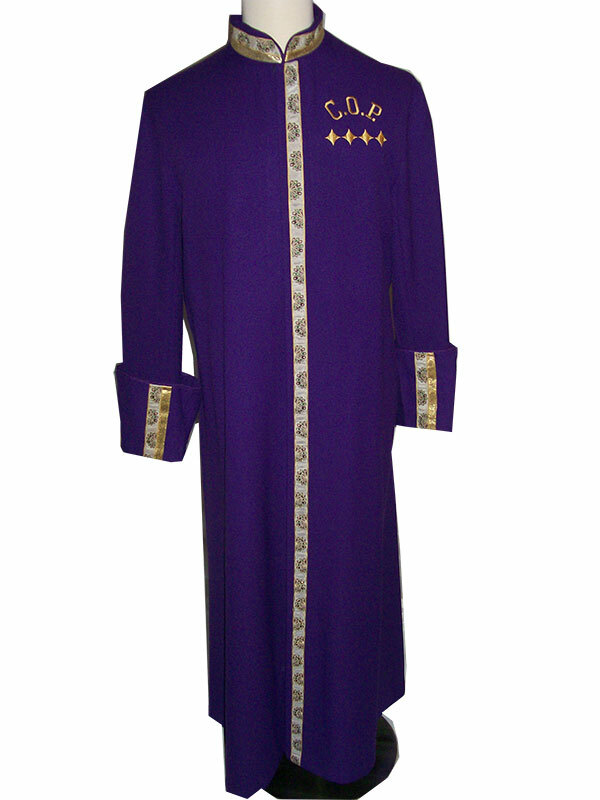 Cassock robe with pleat in the back and braid on front, collar and cuffs. Visa fabric. 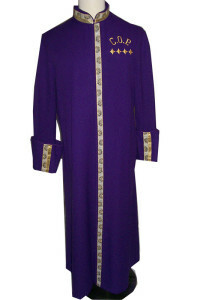 Available in purple, black, navy, white, and cream.